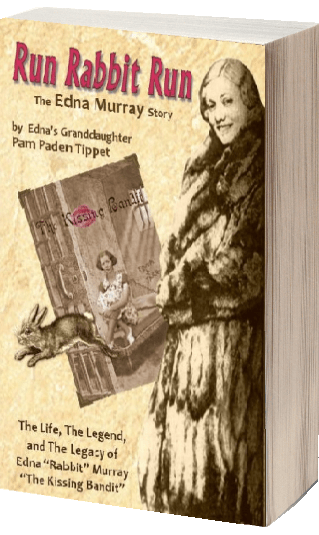 Edna wasn’t your ordinary grandmother, with nicknames such as “The Kissing Bandit” and “Rabbit.” She ran with the likes of the Barker Gang, Alvin Karpis, and even harbored John Dillinger and a dying John “Red” Hamilton. She served time with Barrow Gang member Blanche Barrow, and was a three-time prison escapee earning her the nickname “Rabbit” since no pen could keep her in. A compelling story detailing the life of Edna Murray, her criminal career as a Gangster Moll in the Barker-Karpis Gang – including how it all began – how her life ended – and the impact it had on her family.